Direct marketing gives you the opportunity to communicate directly with your customers and to build a professional relationship. Basically all marketing activities and advertising strategies that specifically target a person or company to generate new business is known as direct or targeted marketing. Direct marketing campaigns are governed by important privacy regulations. If you are considering a direct marketing campaign, you need to be aware of these regulations and abide by them at all times. DLM Marketing can guide your through the process of creating a good targeted marketing campaign that focuses on promoting a specific product or service. All direct marketing campaigns designed in a way to make your customers act in a desired way such as an invite to receive further information, register their interest, visit your website, make a booking or a purchase. Direct marketing gives you the opportunity to promote your products and services directly to the customers who most need them. However, direct marketing campaigns require careful planning and a clear understanding of responsible direct marketing practice. 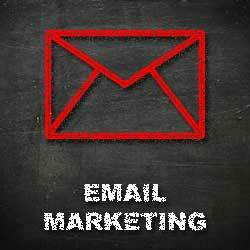 Using direct marketing allows you to target specific groups of customers with tailored messages. By taking the time to research and identify the customers who are most likely to need or want your products and services, you can focus your marketing efforts where they have the highest chance of achieving results. A well-targeted marketing campaign will also provide you with an accurate understanding of how your customers are responding to your product and service offers. Direct marketing that is targeted to a specific audience can help you set realistic sales goals and improve sales results on a tight marketing budget. Businesses can run effective and purposeful direct campaigns at a fraction of the cost of broadcast advertising. Most customers welcome contact from familiar business people who make an effort to understand their needs and build a personal relationship. You can increase sales to your existing customers by maintaining reliable customer records and choosing simple, well-planned promotional tactics. You can also use direct marketing tactics to re-establish relationships with customers who haven’t returned to your business in a while. Approaching lapsed customers is an opportunity to rekindle sales, keep your customer records accurate, and find out why your customers move on. 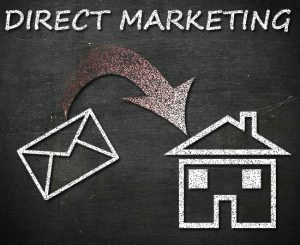 Direct marketing helps you build direct relationships with your customers. You can personalise promotions, letters and offers to create an immediate link with your customer and increase their personal connection to your business. Many businesses combine direct marketing and customer loyalty strategies to keep and build customer relationships (e.g. by sending birthday cards, discount offers, invites to upcoming sales). When using direct marketing you can communicate directly with your chosen target market and this should give you a better sales success rate than communicating to the mass market, many of whom may not be interested in your products and services. Contact DLM Marketing and allow us to help you with your next targeted marketing campaign – DLM Marketing use effective techniques for sourcing and finding new customers, you can generate new customer prospects and grow your sales to new customers.